This post brought to you by Krazy Glue. All opinions are 100% mine. Hello friends! 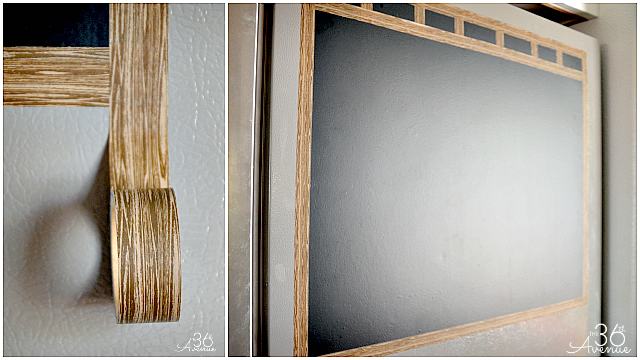 I am so excited to how you today’s project! I used the awesome Krazy strong, Krazy fast Glue to make our Number Magnets for our new fridge Magnetic Calendar and I was sold after the first drop of glue! I loved how easy it was to use without the mess and how you can create masterpieces in minutes! Take a look! 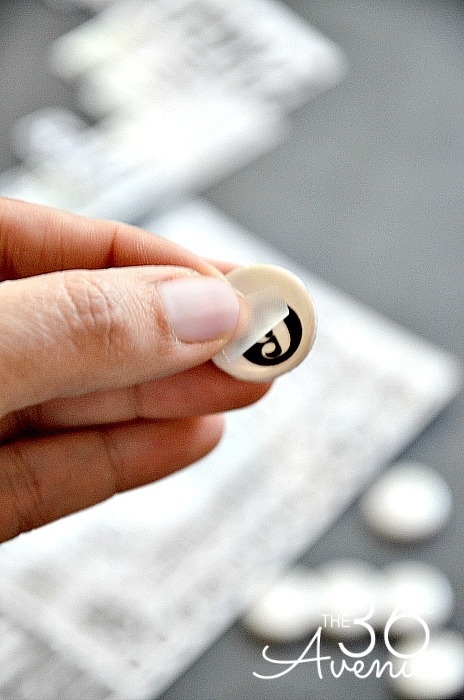 Making these adorable magnets was such an easy task. Pull out 31 pieces of bubble tile and clean them up. Then transfer the number rub-ons to each tile. One for each day of the month. 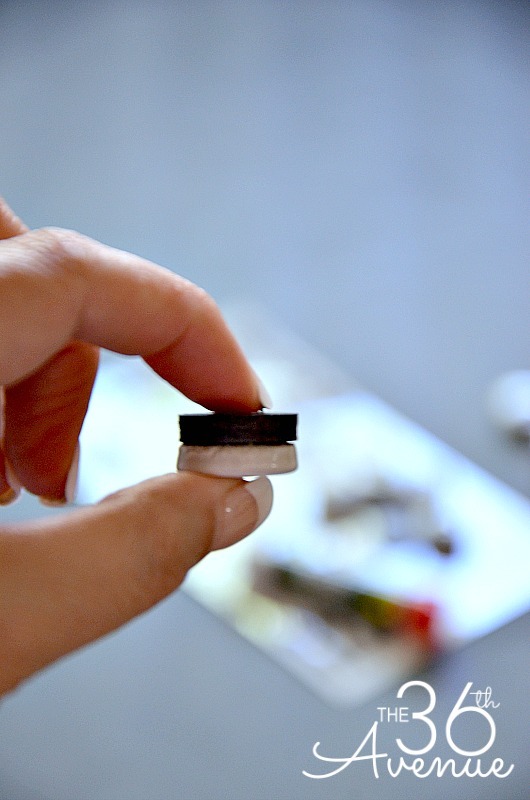 To bond the tiles to the magnets use a drop of Krazy strong, Krazy fast Glue to the back of the tile and spread it. Do you see that? No messy glue on my fingers! Unlike a glue gun, Krazy Glue’s preciion tip and brush-on applicators bond the smalles elements with no mess, burns or glue strands. The Skin Guard™ formuka delays skin bonding, giving me extra working time before the glue dries! Always a plus! Krazy Glue works on porcelain, pottery, plastic, rubber, metal, glass, and vinyl, eliminating the need for glue guns and other expensive tools. 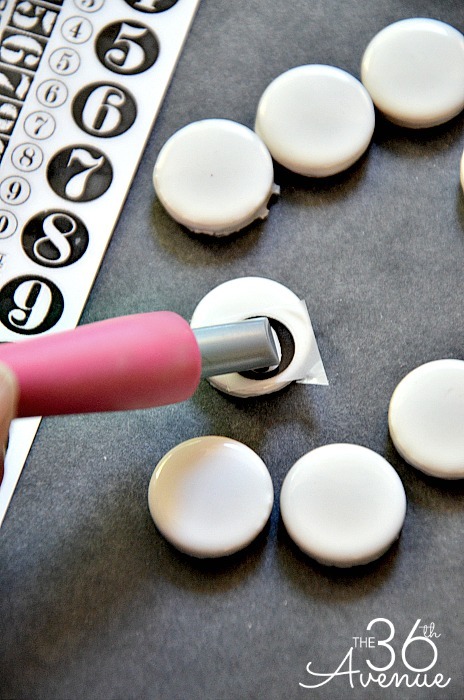 Unlike a glue gun, Krazy Glue’s precision tip and brush-on applicators bond the smallest elements with no mess, burns or glue strands… I love that! I can’t tell you how much I love this glue! It’s truly Krazy strong, Krazy fast… It helps me complete a craft faster than it takes to set and heat up a glue gun properly! While the magnets were drying I made the calendar. 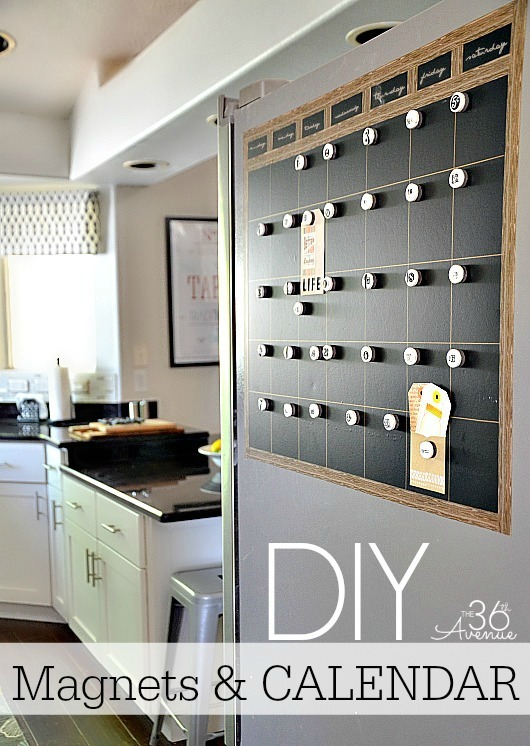 Measure and cut a piece of vinyl to fit on the side of your refrigerator. I chose black vinyl since I can use chalk to also write notes on it. The second step is to frame the calendar… Washi Tape did it for me! It is easy to work with and gave the edge of the vinyl a clean look. For the final touch I used a gold permanent maker to draw the lines and write the names of the days of the week. By then the Krazy Glue had dried completely so it was time to put the Tile Magnets in place. 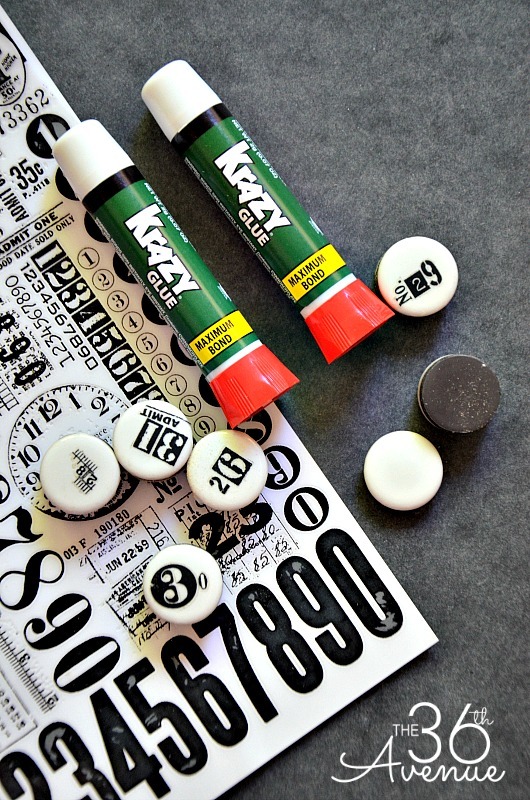 Keep in mind that Krazy Glue’s craft gel formula enables us to glue vertical surfaces with no runny mess and fill in gaps when bonding mismatched surfaces… So cool! 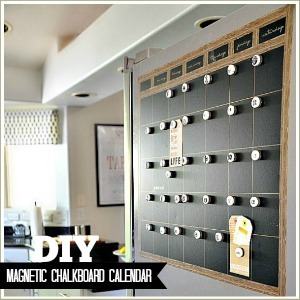 I love how our new Magnetic Calendar and magnets turned out! 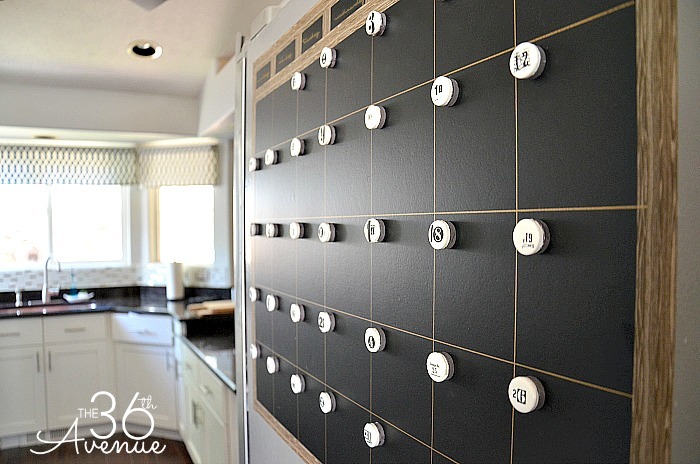 The magnets are not just adorable but they are perfect to pin notes, lists and reminders! I always need help in this department! So, what about you my friends? 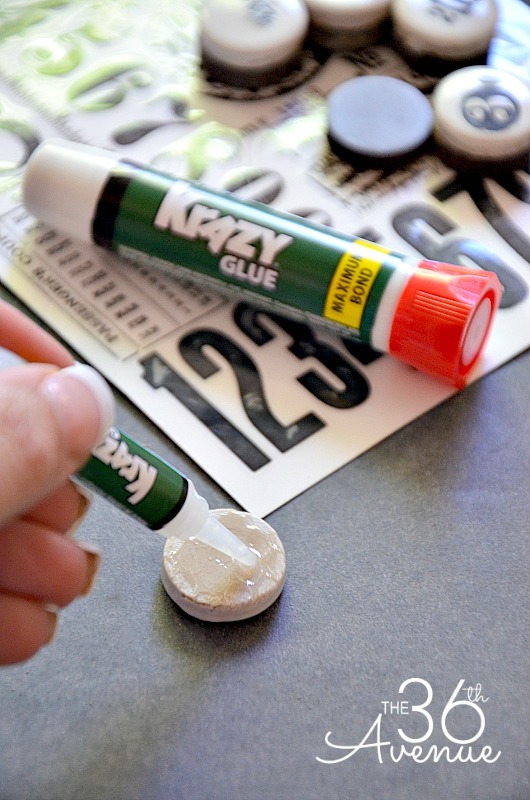 What DIY Projects and crafts are calling for Krazy strong, Krazy fast Glue in your own home? If you need some inspiration make sure to visit their Pinterest Boards and check out how to create masterpieces in minutes! So many great ideas there! Thank you all for “bonding” with me today… OK, that was cheesy! That looks so simple to actually do! I especially love that the frame is washi tape! hi!..How do you get the vinyl to stick on the fridge?..Do you buy adhesive vinyl somewhere?…Can you tell me where you got yours? Kristen, there is a link for the vinyl in the post. You can also find it over at your local craft store. I love this!!! Where do you get the bubble tiles used for the magnets? Are they sold in a pack? Molly you can find them a Lowe’s. They vinyl that you used. 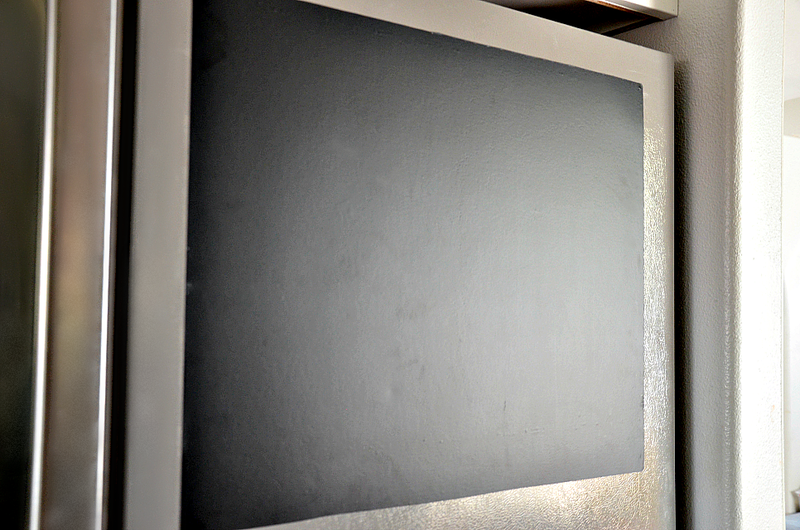 It says just black, but was it actually chalkboard vinyl? Love this!! Thanks!! 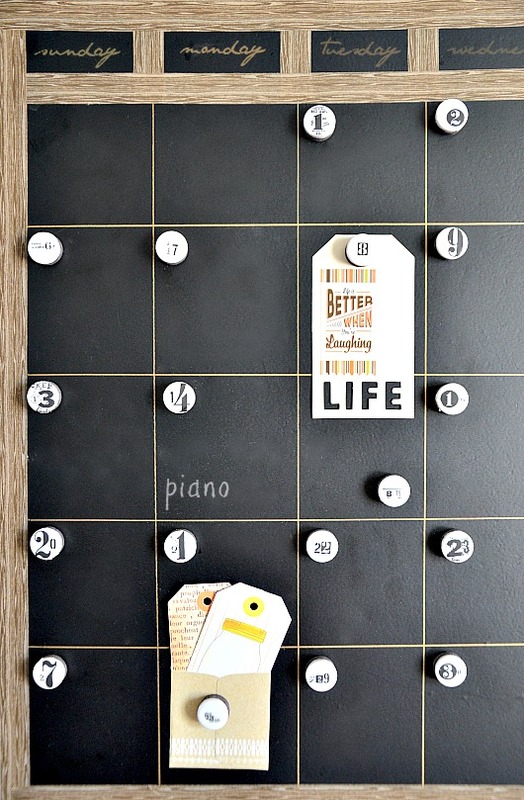 It is black vinyl but you can use it as chalkboard.